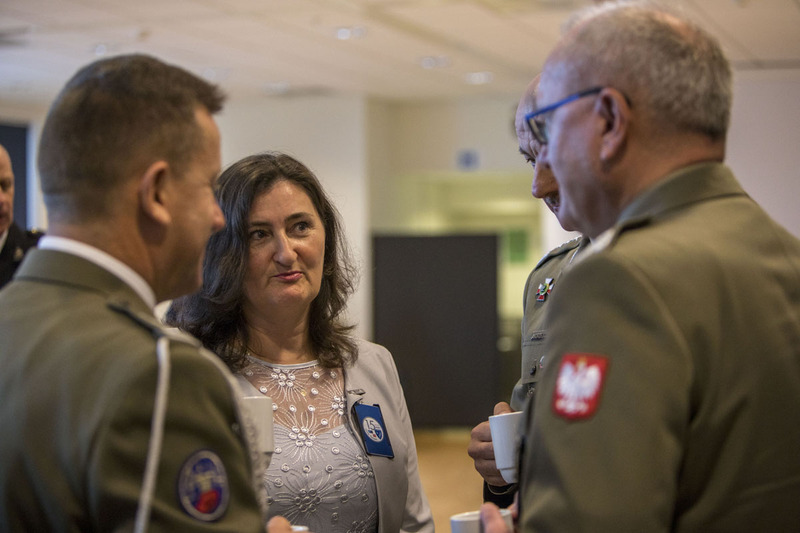 The anniversary celebration featured speeches, a reception and concerts by the Military Band of Polish Armed Forces from Bydgoszcz; a cello quartet from Pomeranian Philharmonic Orchestra, and the Norwegian music band Flunk. 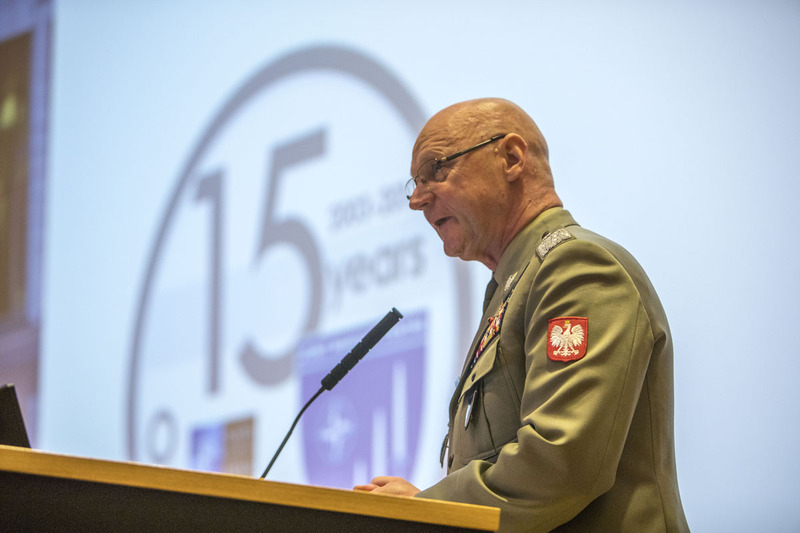 Polish Army Major General Andrzej Reudowicz, Commander JWC, provided welcoming remarks spotlighting the JWC’s important role in training NATO Command and Force Structure headquarters and contributing to their ability to conduct full-spectrum, joint operational-level warfare as NATO’s footprint in the Northern region. 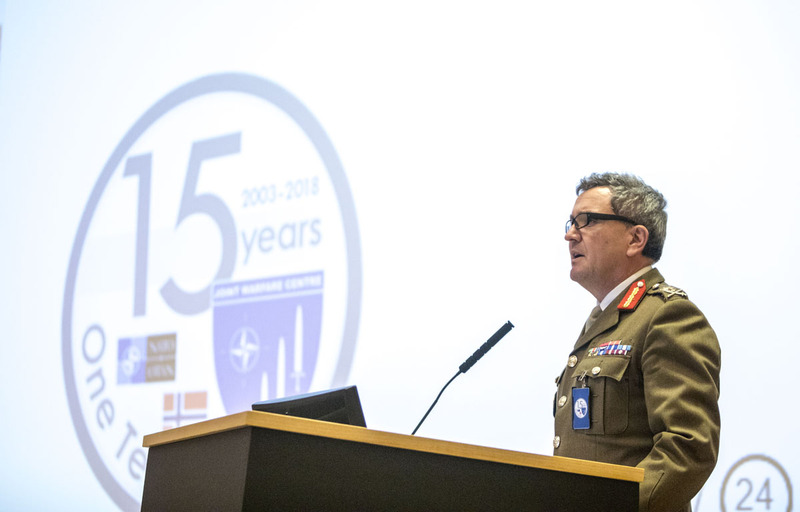 “When I began reflecting on the past 15 years, I quickly realized that our [JWC’s] history is not only joined with the progress of NATO exercise and training, but also the real world events and NATO deployments to Iraq, Afghanistan and Libya, among others,” Reudowicz said, adding that many of the Centre’s Training Audience Commanders, such as Canadian Army Lieutenant General Charles Bouchard (Ret. 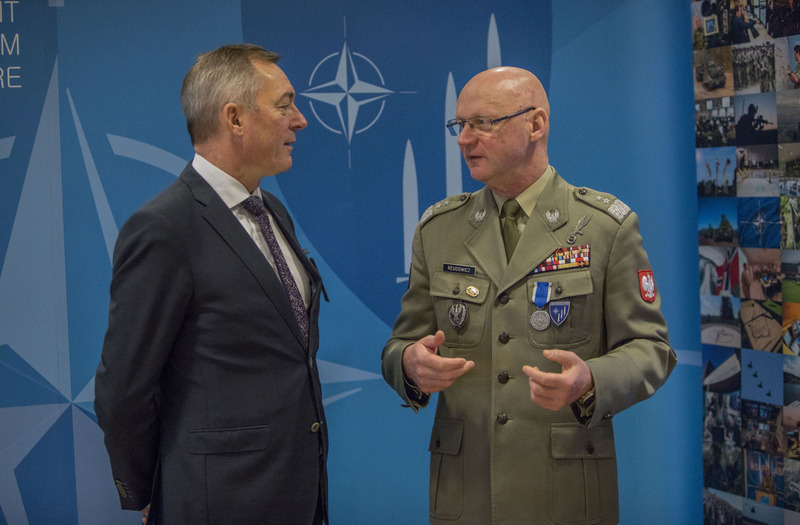 ), the former Commander of the NATO-led mission in Libya, deployed immediately following their training. 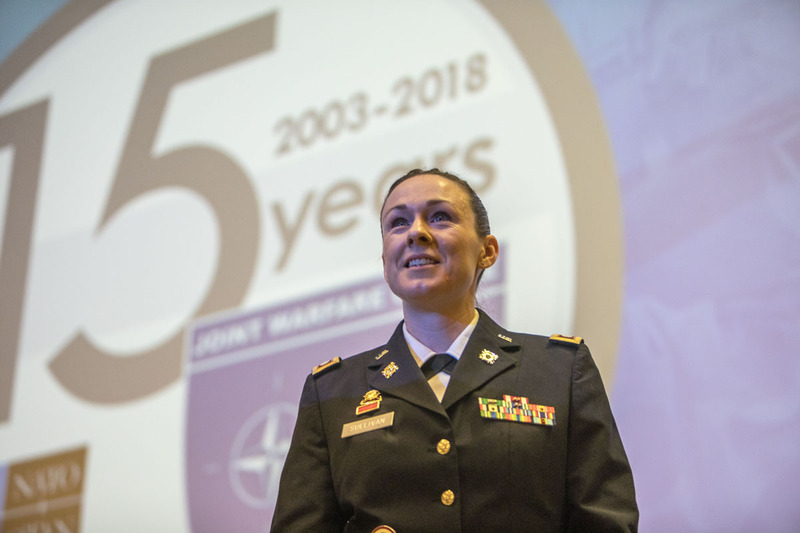 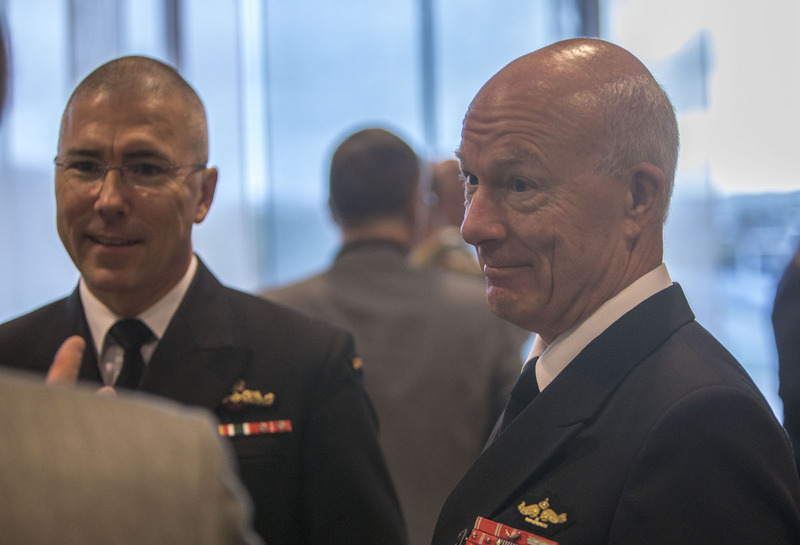 “This history of relevant training excellence has earned JWC a great reputation as an organization that can adapt to changing geo-political realities as well as NATO’s military requirements to operate in a world of changing threats,” said Reudowicz. 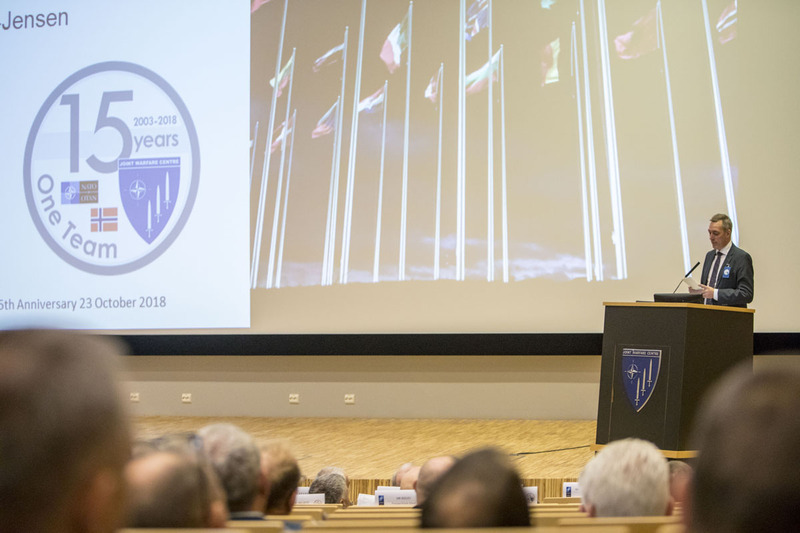 Reflecting on NATO’s 360-degree approach to security, Reudowicz noted that the NATO Alliance currently faced a broader range of threats than at any time in recent past. 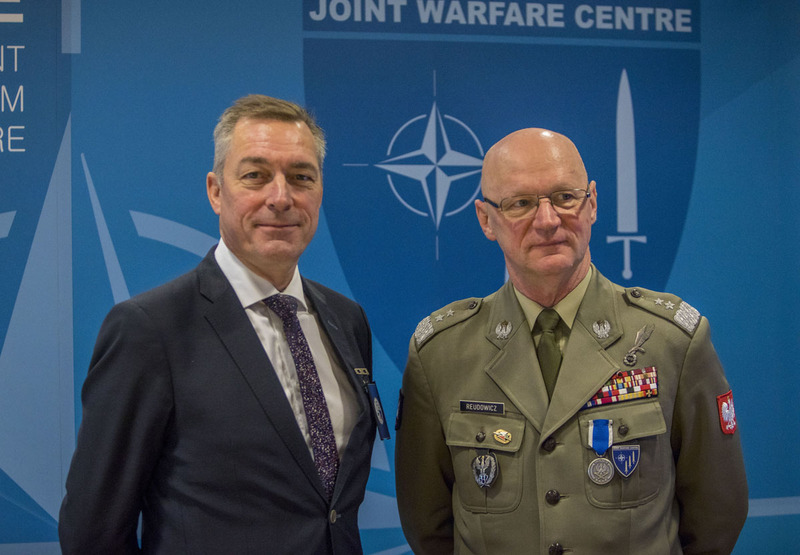 “Our work here is extremely important because NATO’s future warfighting ability depends on JWC’s delivery of relevant, threat-based training. 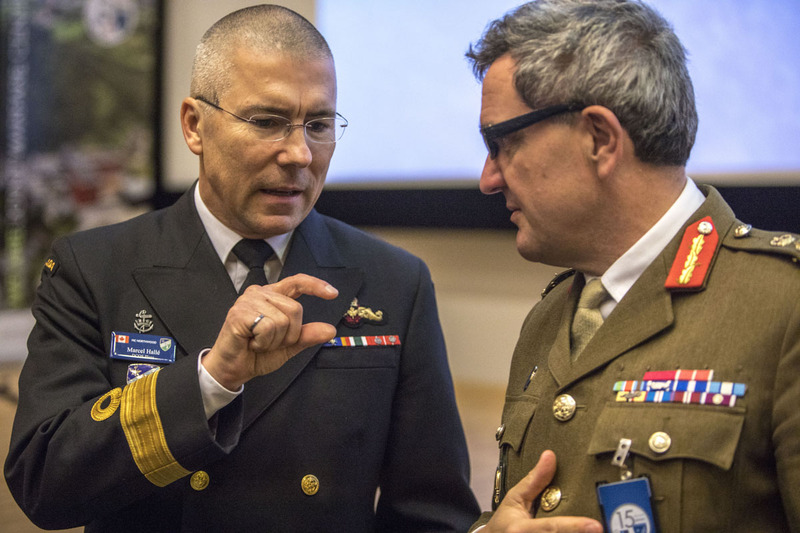 These new threats have resulted in NATO changing its approach to its exercise and training programme, addressing full spectrum threats from any direction. 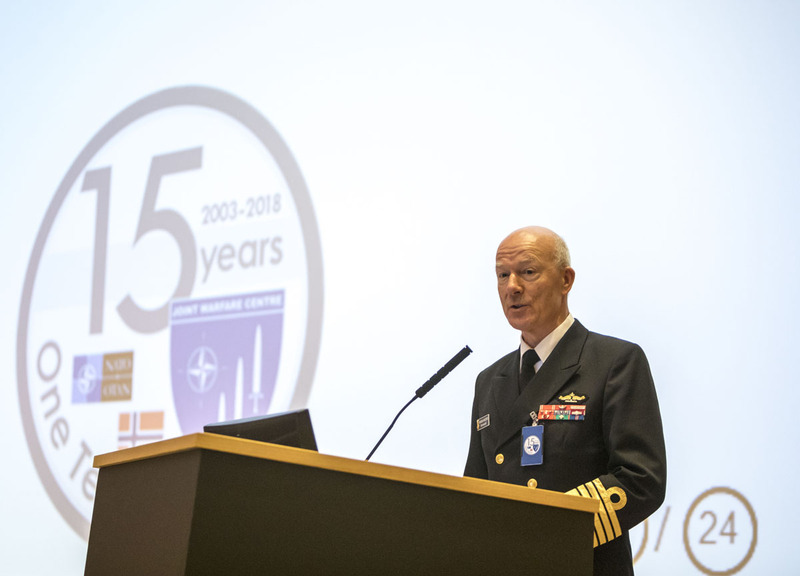 Likewise, NATO Commanders are being asked to prepare for everything from small Crisis Response Operations to full scale, Major Joint Operations, involving a NATO country having invoked Article 5 of the Washington Treaty,” he further underlined. 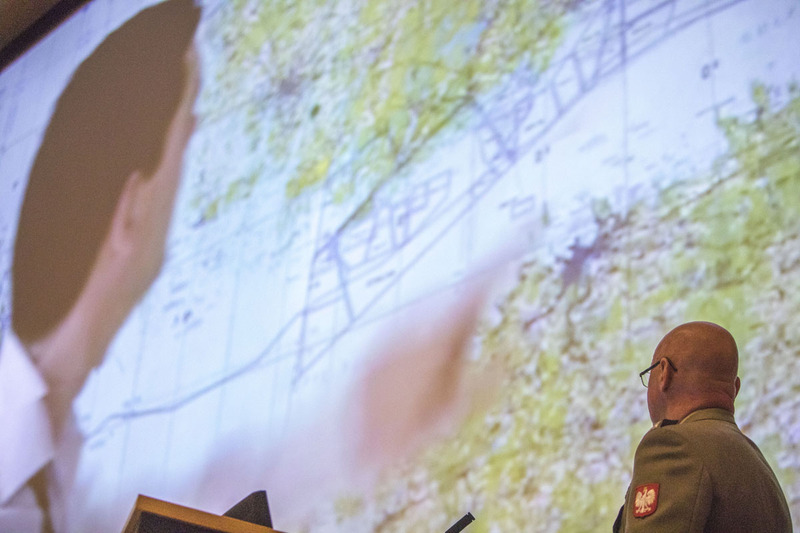 Focusing on JWC’s unique mission in scenario development, Reudowicz said that the foundation to each exercise was an in-depth scenario that needed to be “responsive to a maximum range of training objectives”, providing NATO with fictitious but very realistic venues to explore its most relevant, full-spectrum threats. 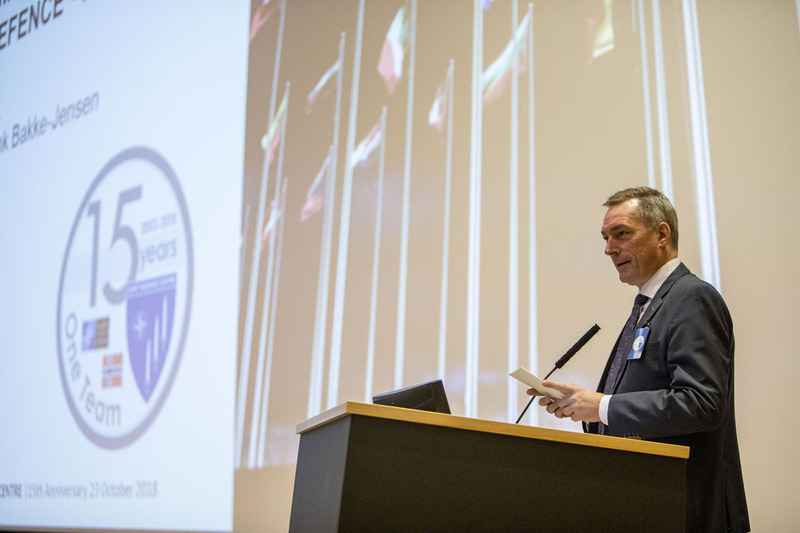 Reudowicz then highlighted some of the organizations that assist the JWC in its delivery of quality, full-spectrum training to NATO forces, including the Centres of Excellence for Joint Air Power, Energy Security, Command and Control, Cyber, CBRN, CIMIC as well as NATO Joint Analysis and Lessons Learned Centre (JALLC), the NATO Force Integration Units (NFIUs), International Red Cross and Transparency International, amongst others. 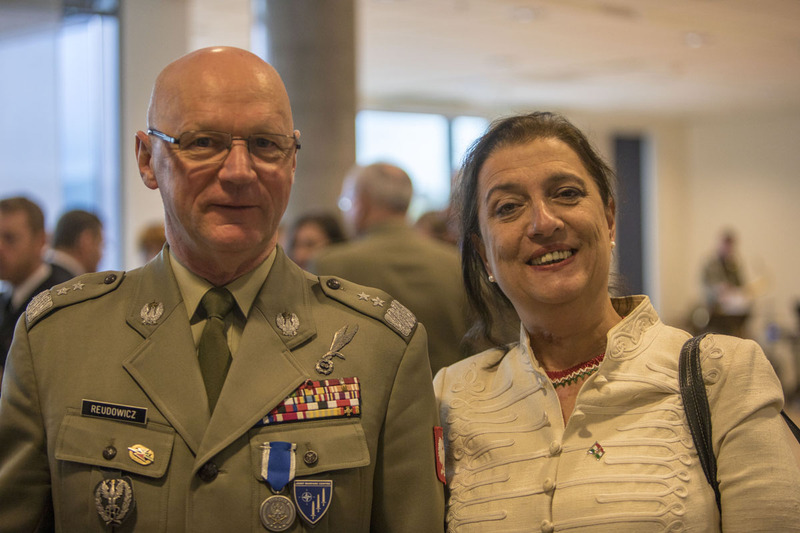 Additionally, Reudowicz noted the value of cooperation and collaboration with many Alliance and Partner Nations. 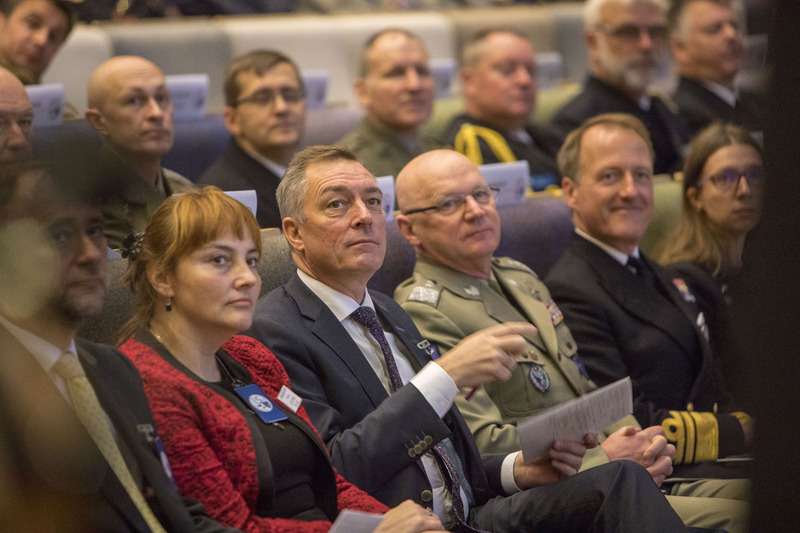 Today’s keynote speakers included H.E. 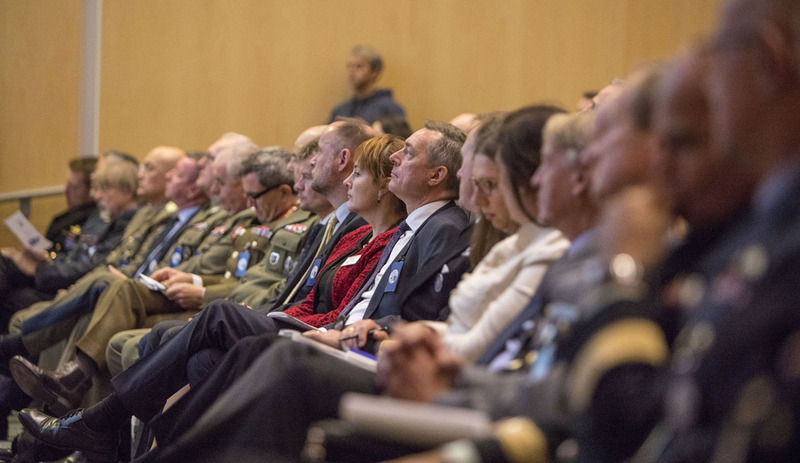 Frank Bakke-Jensen, the Norwegian Minister of Defence; Admiral Haakon Bruun-Hanssen, Norwegian Chief of Defence, and General Sir James Everard KCB CBE, Deputy Supreme Allied Commander Europe (DSACEUR), who all highlighted the importance of celebrating the Centre’s 15th anniversary alongside Allies, Partners and the local community in Stavanger. 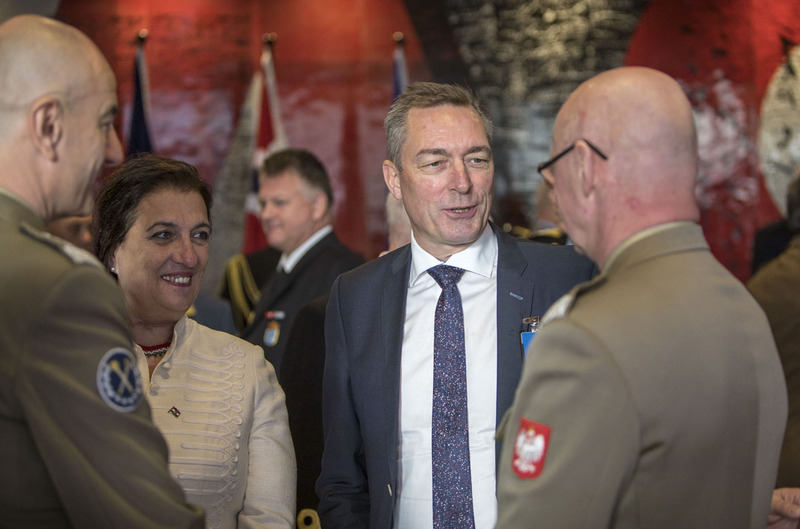 The impressive assembly of dignitaries attending the JWC’s 15th anniversary celebration included Lieutenant General Rajmund Andrzejczak, the Polish Chief of Defence; many foreign Ambassadors to Norway; Vice Admiral Paul Bennett CB OBE, Chief of Staff to Supreme Allied Commander Transformation; Lieutenant General Janusz Adamczak, the Polish Military Representative to NATO; Lieutenant General Erhard Buehler, former JWC Commander and Brigadier General Stephen DePalmer, former JWC Deputy Commander and Chief of Staff; Mr Hans Vik, Chief of Police of Rogaland as well as many Defence Attaches, and representatives from NATO Command and Force Structure headquarters.